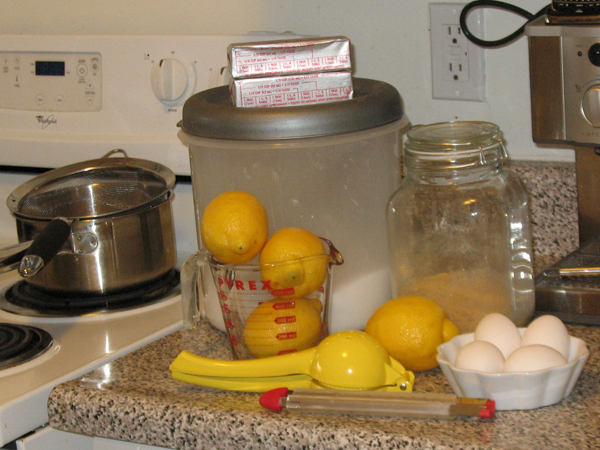 I recently purchased more lemons so I’d have an excuse to make another lemon… something, anything. 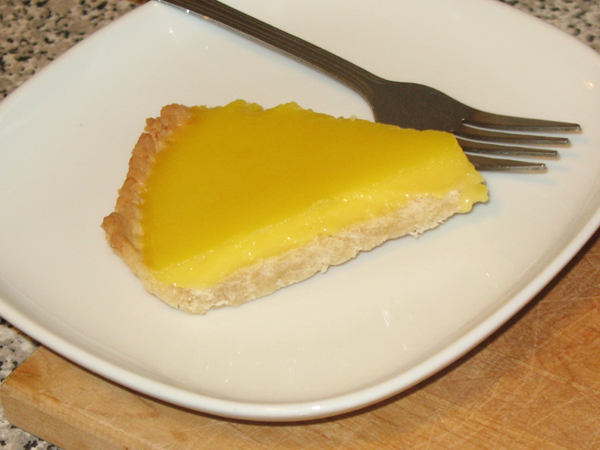 The lemon tart I made the other week vanished mysteriously from the fridge, and we were a house sans lemon. And that’s no state to be. 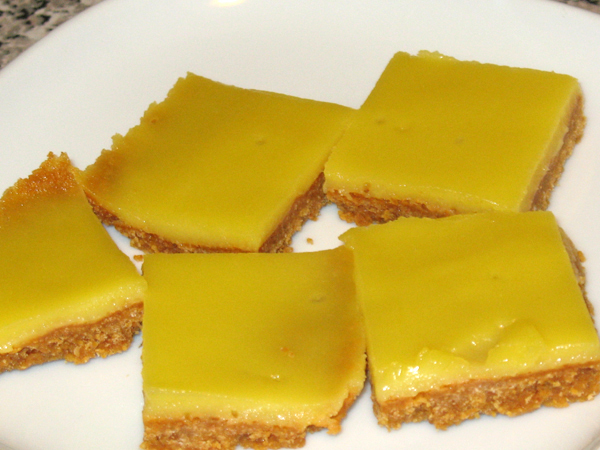 I wondered if lemons and graham crackers would be good together, so I got working on a little idea. 1. Pre-heat oven to 176°C / 350°F. 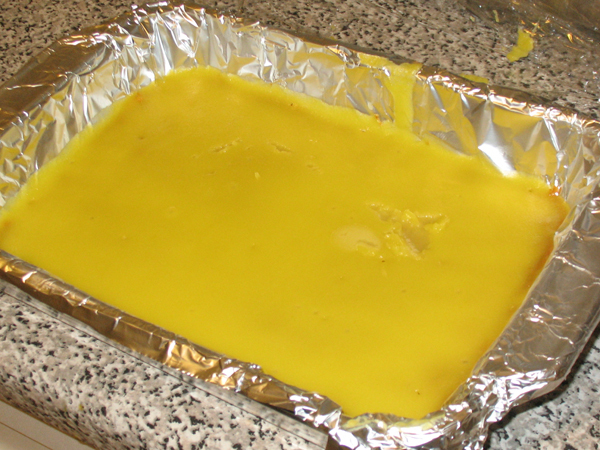 Line baking pan with foil. 2. 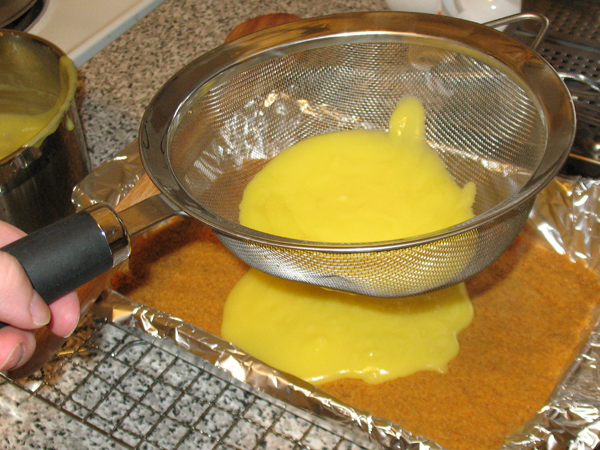 Melt butter in the microwave. 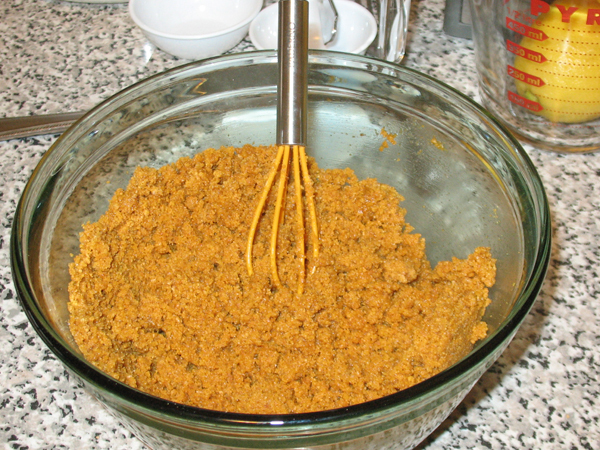 Stir in sugar and graham crumbs. 3. 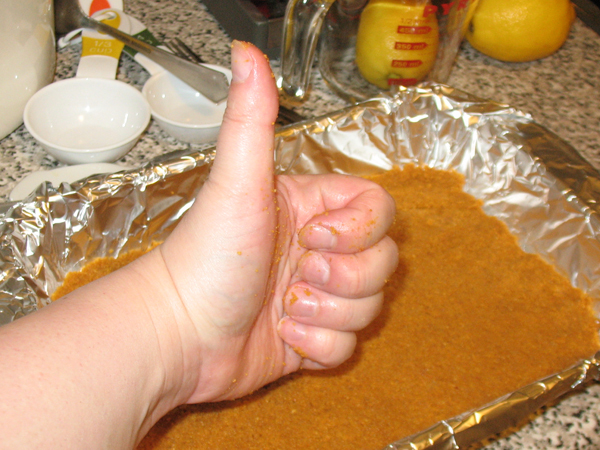 Pat into prepared pan and bake 10 min. Cool on wire rack. 4. 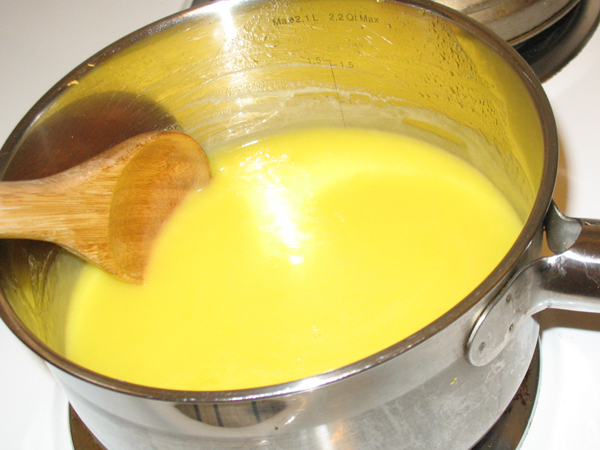 Get started on the lemon curd. 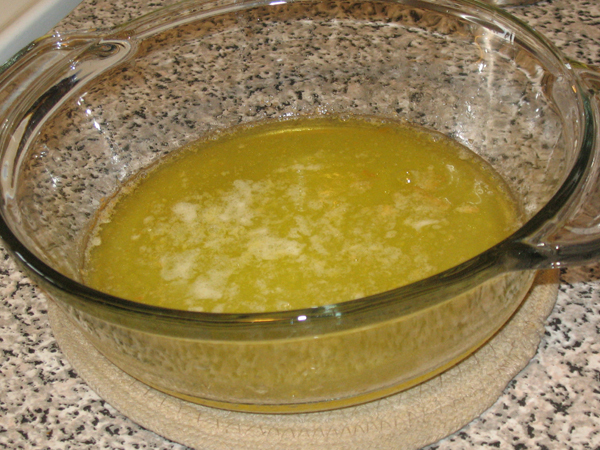 Combine the juice, zest, sugar, and butter in a sauce pan and heat on Low until the butter is melted. Remove from heat. 5. 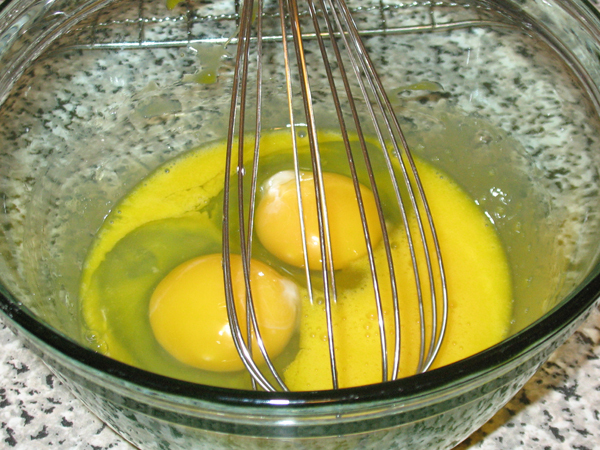 Beat the eggs and yolks, and temper in the hot butter mix. 6. 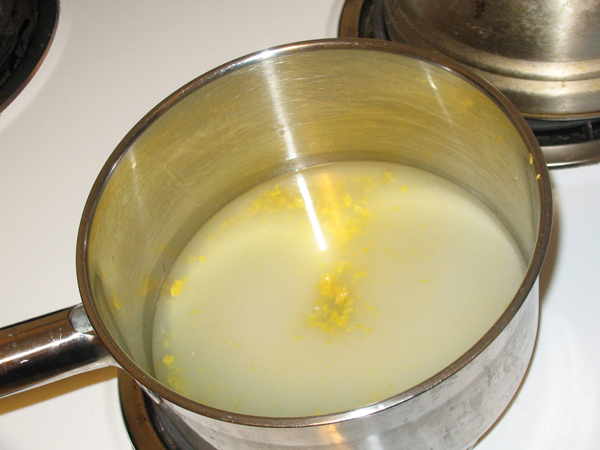 Return to stove and heat on Low until curd thickens (stir often), and when it starts to bubble, remove from heat. 7. Strain and pour directly onto crust. Ah, beautiful! 8. Bake 5 min. Cool on rack, then cover and chill for at least an hour before slicing. Swear like a sailor when the saran wrap ruins the surface. Verdict: Very tart. Very good. 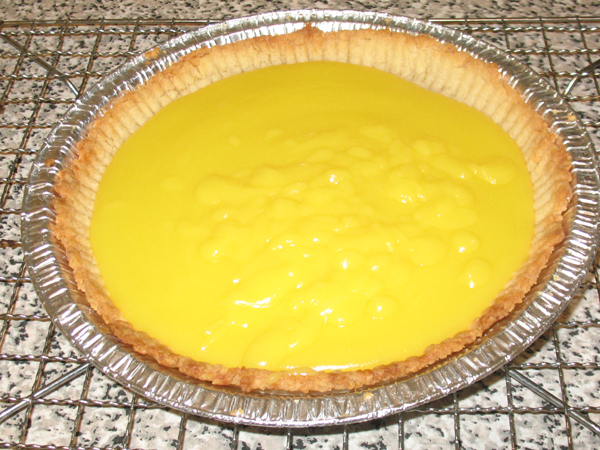 Wishing I had let the lemon settle before baking, as it’s rather high on one end, and bare on the other, but aside from the cosmetic issues this is pretty good. One day I will find the bottom of my fluted tart pan, which is still M.I.A., and then maybe I’ll make, oh I don’t know, an actual tart. After the glorious lemon dessert I enjoyed last week, I spent Saturday walking around the city with Boyfriend Unit, and came away with two important purchases: new shoes, and lemons. 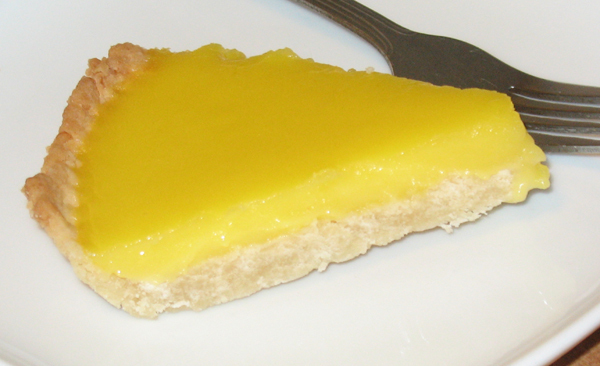 I had the place to myself today, and envisioned a leisurely Sunday afternoon re-creating that lovely lemon tart. 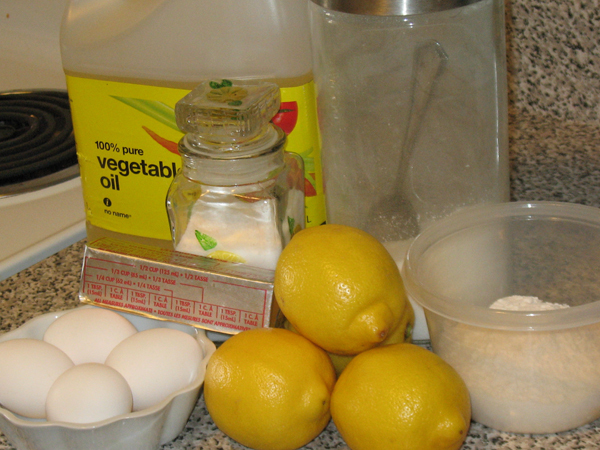 I’ve no idea how to make a tarte au citron, so my Google-fu led me to David Lebovitz’s blog and I liked his posts on making tart shells and lemon curd which is the recipe I’m using below. I had all my ingredients on the counter when I realized that half of my fluted tart pan was missing. Annoyance! 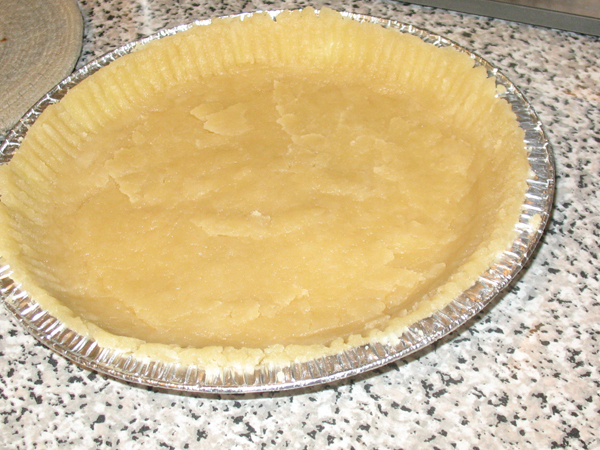 How can I make a tart without a proper tart pan? I was actually quite excited to use my tart pan, it hasn’t seen any action since it’s debut in 2010 and I was looking forward to using it again. I found the fluted part, but the bottom was missing. I emptied every cupboard, and washed a metric tonne of dishes, alas my efforts did not yield my truant tart pan, so I settled for a pie tin. 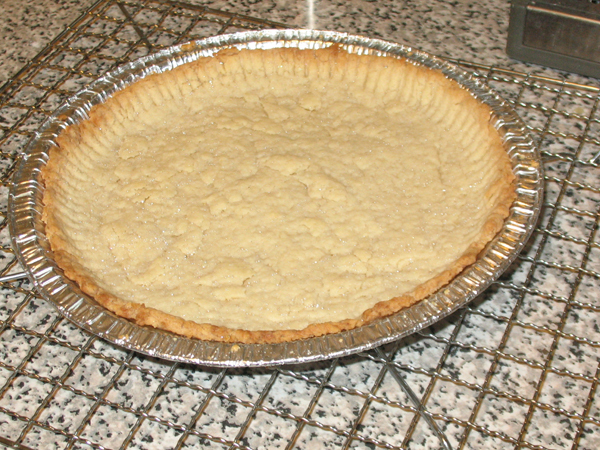 Good to know before you start: You need to lower the oven temperature after baking the empty tart shell, once it’s filled the baking temperature is lower. 3. Bake 15 min and remove from oven. 4. 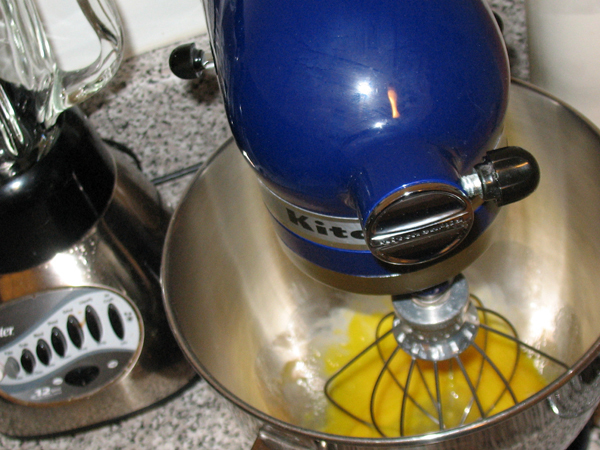 Immediate add flour and stir quickly until it forms a ball. 5. 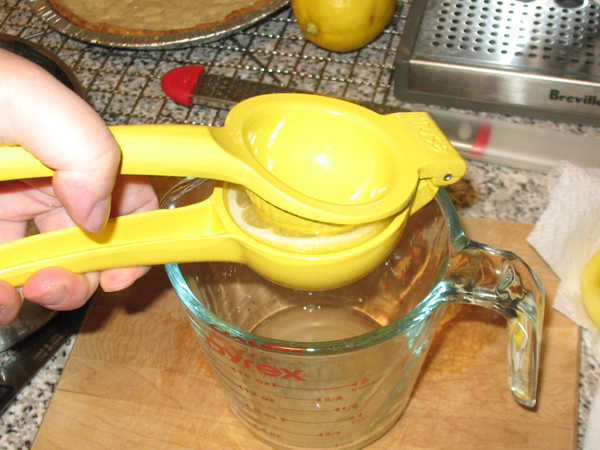 Transfer to tart pan and use spoon or hand to press down. 6. Once you fuss with the edges to your satisfaction, pierce with fork many times. 7. Bake shell 15 min, then cool on wire rack. TIME TO LOWER OVEN TEMPERATURE. 8. Pre-heat oven to 180°C / 350°F. 9. 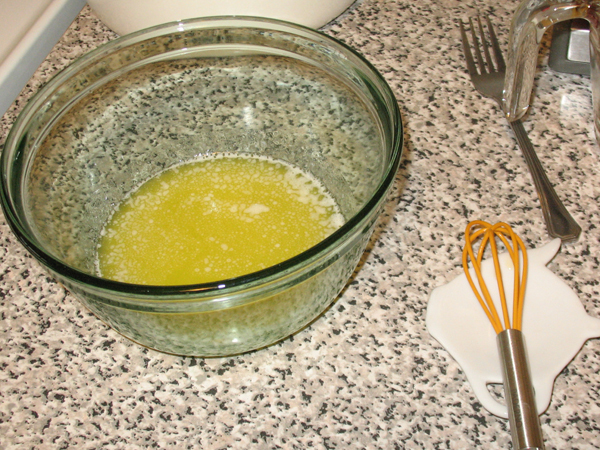 In a sauce pan combine: lemon juice, zest, sugar, and butter. Heat on low. 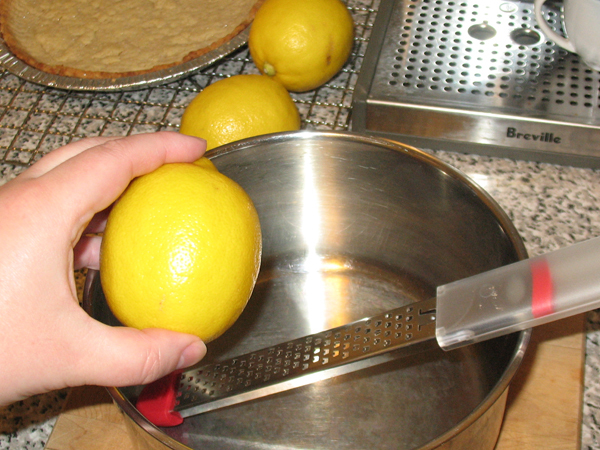 When I slice or juice lemons, I do it with my eyes shut. That’s probably really dumb, but that’s how I do it. I’d like to convince you that I do this because I have ninja-like reflexes in the kitchen, but really I am just scared of getting lemon juice in the face. 10. 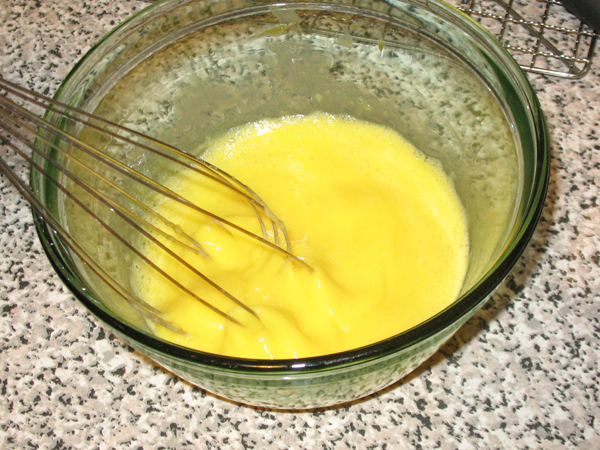 In a bowl whisk eggs and egg yolks. 11. 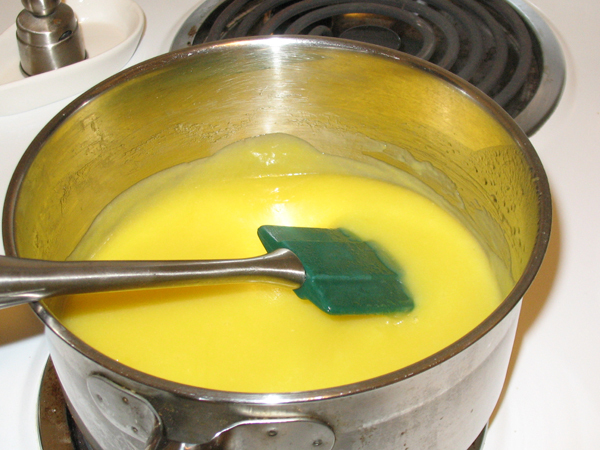 Once the butter has melted on the stove, temper some of the hot liquid into the eggs, then pour the warmed egg mixture back into the sauce pan. 12. 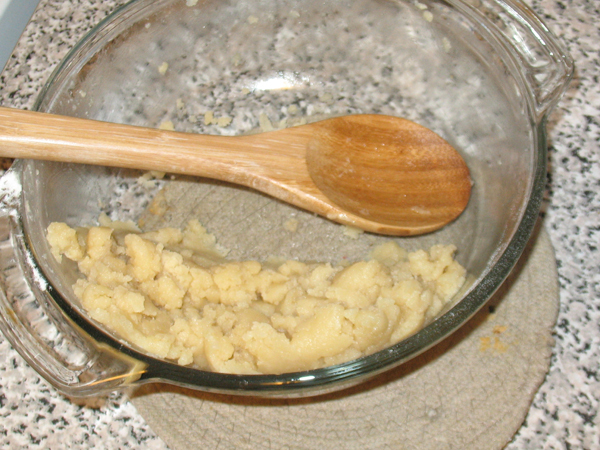 Cook on low until mixture thickens and small bubbles start to form. Stir non-stop. 13. 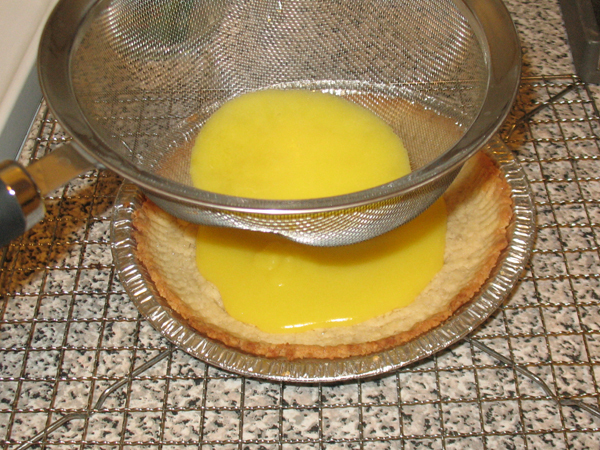 Pour lemon mixture through strainer directly onto tart. 14. 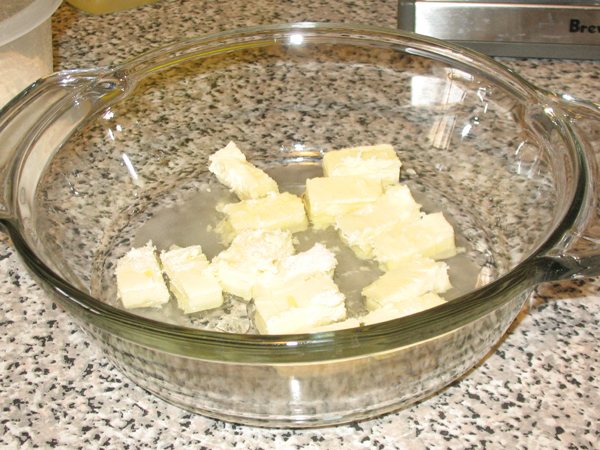 Remove from oven and cool on wire rack, and chill before serving. After the euphoric glow wore off, I compared these to the one I ate at Le Papillon, and it held up very favourably. Theirs was a pale yellow, with a difference type of crust, and although mine was a bit different it was equally delicious. Success! 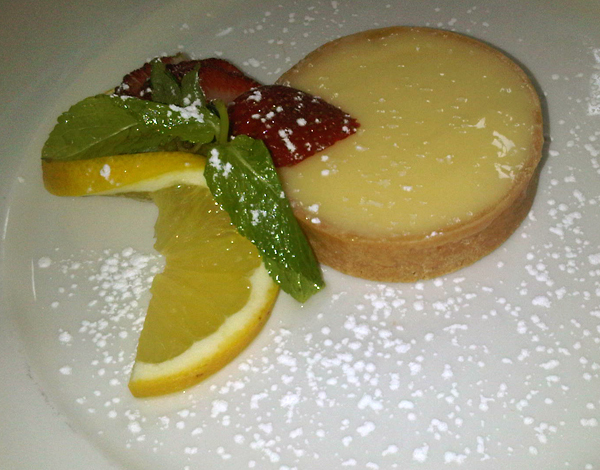 Lemon tarts at Le Papillon! Ah, lemons. Today I hit up the St. Lawrence Market with Hobby Victim. I was looking for some pure vanilla extract by the Saffron Imports Co. (my supply is dangerously low but alas, none was to be found). After checking out the lower level of the market, we took a stroll to find a nice restaurant for lunch. We stopped at Le Papillon. I’ve walked by Le Papillon many times but never ventured inside. We both ordered the Crêpe du Marché, which is a galette containing St-Laurent bacon, cooked apples, and cheddar cheese. The apples had a flavour I cannot identify, but it was quite tasty. Choosing dessert was so hard. I just could not make up my mind, but after several agonizing minutes we narrowed it down. 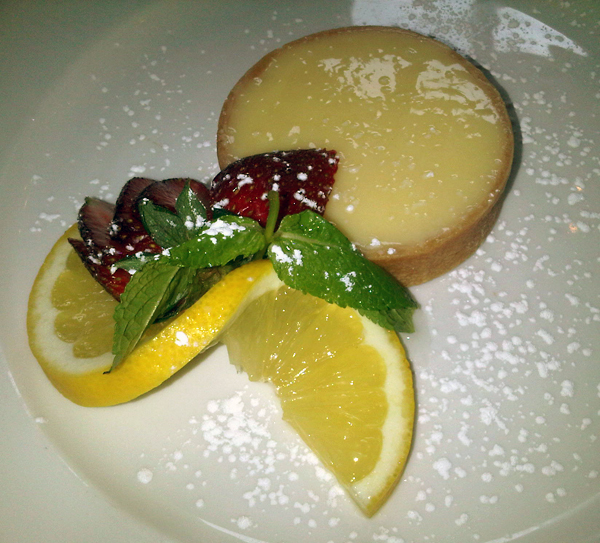 Hobby Victim ordered the Gâteau au Chocolat, and I ordered the Tarte au Citron (French lemon pie). How was it? From the first bite, as I felt that elusive afterglow feeling creeping over me, my taste buds sang. I could not stop smiling. It was truly delicious. So tart, so good. Whoever does the desserts at Le Papillon is an artist of the highest calibre. I know what I’m going to learn to make on the weekend.